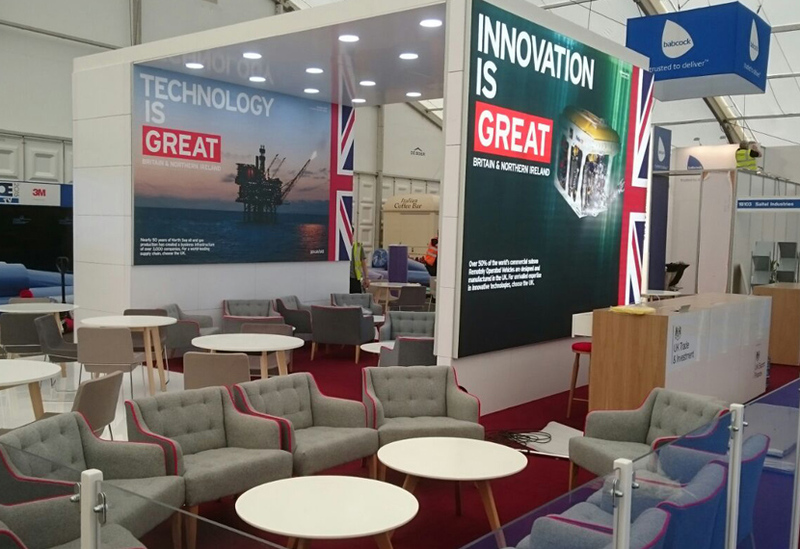 This modular set for UK Trade & Industry has been touring since 2014, being seen in various configurations at over 40 different events throughout Europe. 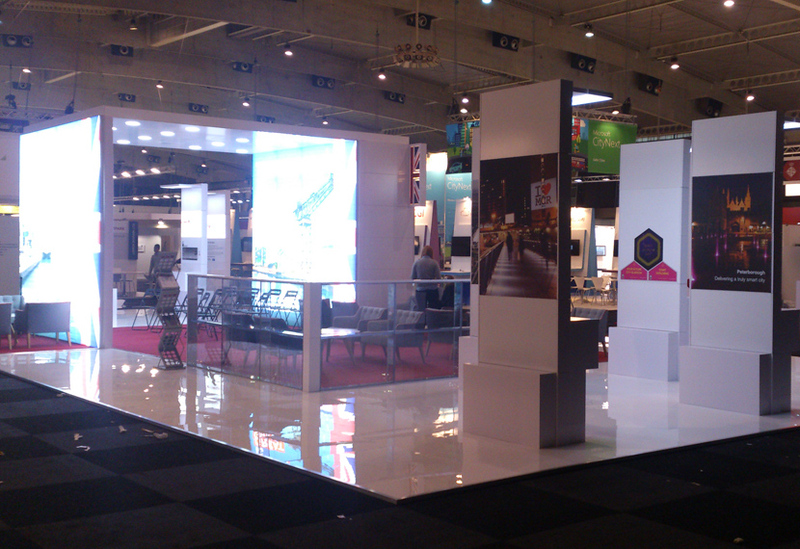 A steel framework and system of 50cm square panels allow for a huge variety of configurations depending on the event. 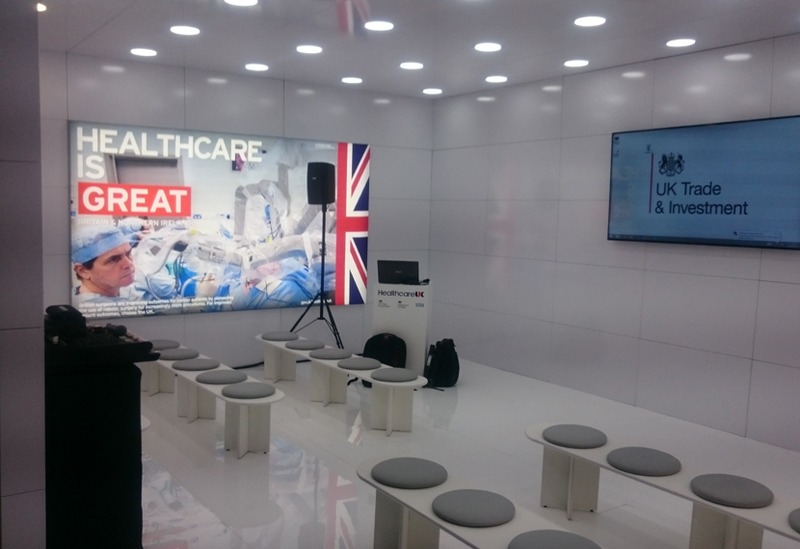 The panels are finished with a white high-gloss paint, with the floor also consisting of white high-gloss panels that click-link together. 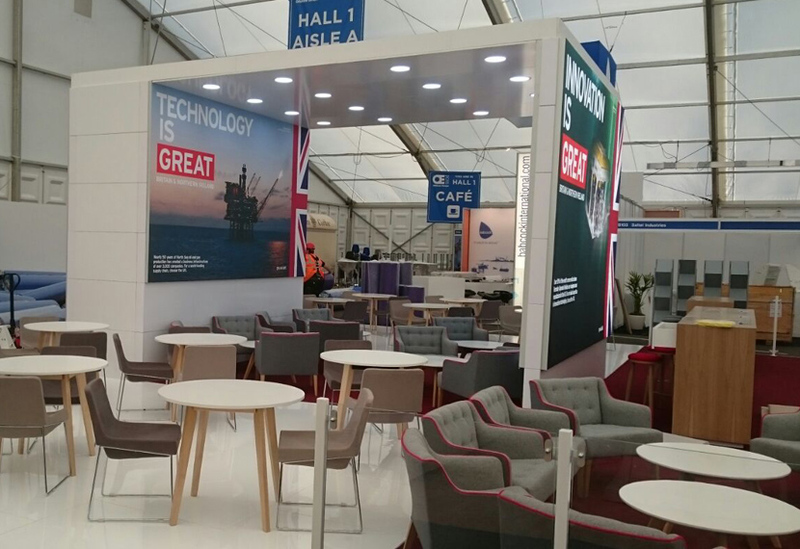 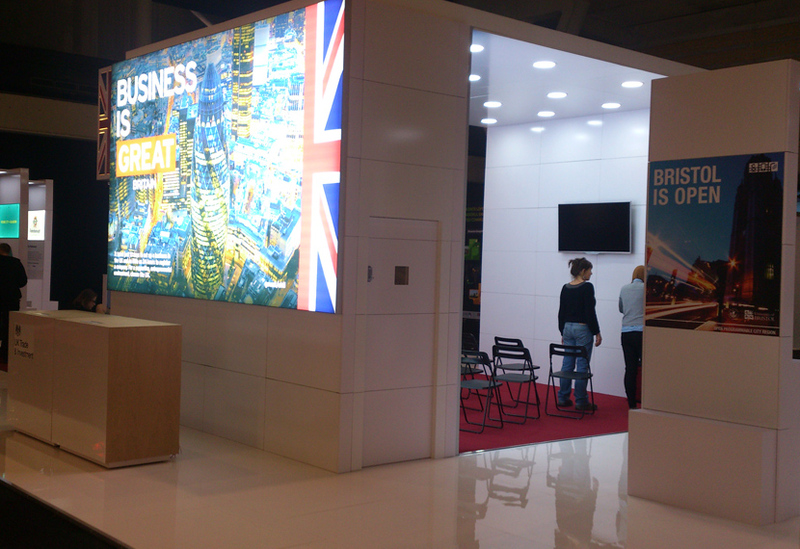 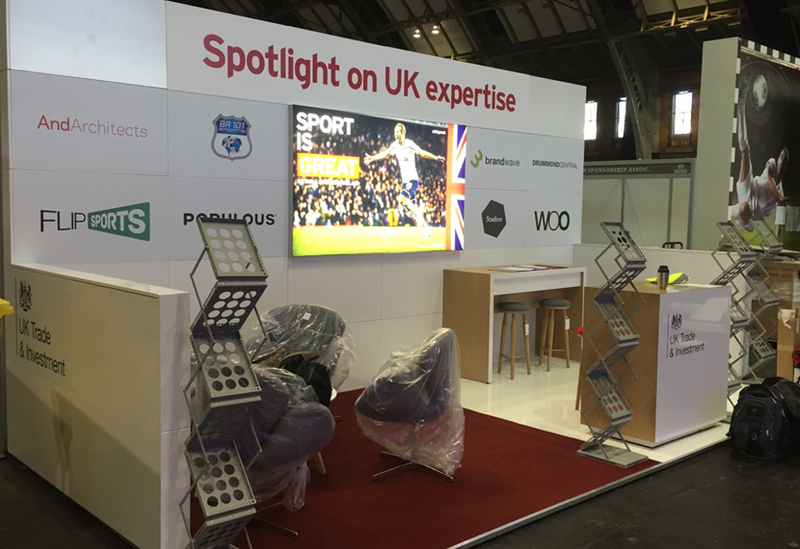 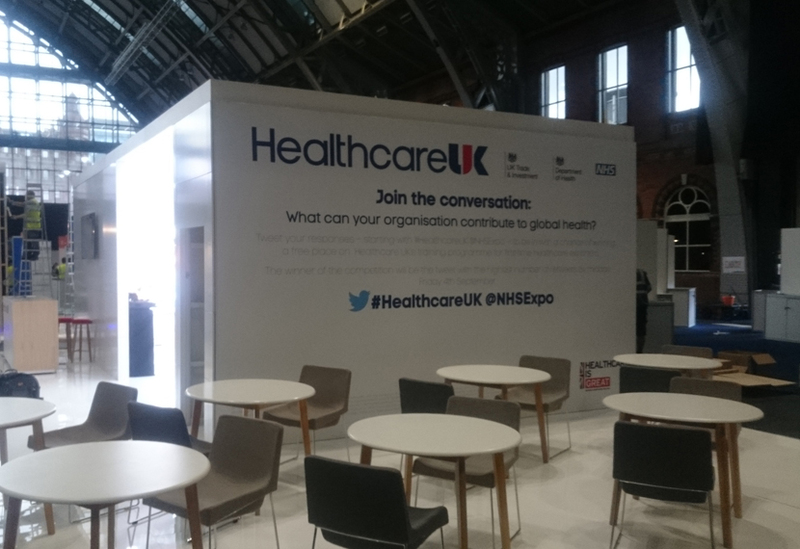 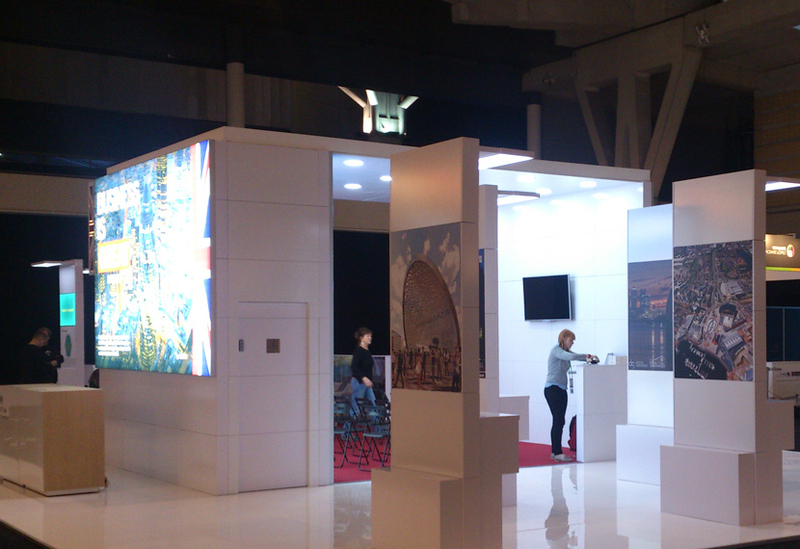 Set up configurations can include a complete room with or without ceiling; or a series of more traditional exhibition-like stands meaning that whatever aspect of UK trade is to be promoted, the client can achieve the look they desire. 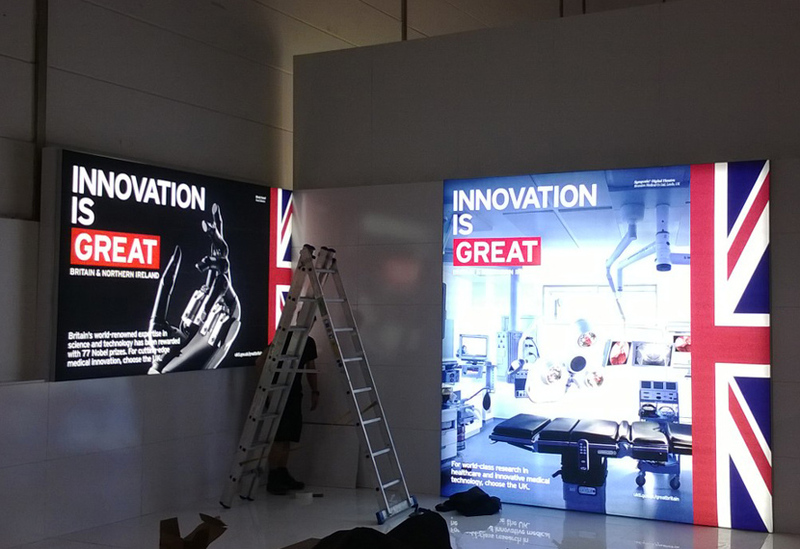 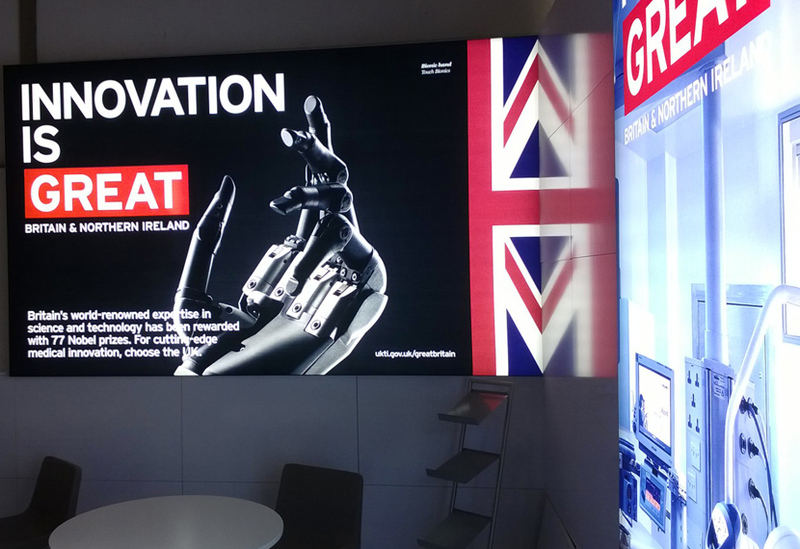 We provided all graphics, including the large light boxes fitted with easy-to-use TFS graphics and backlit with LEDs. 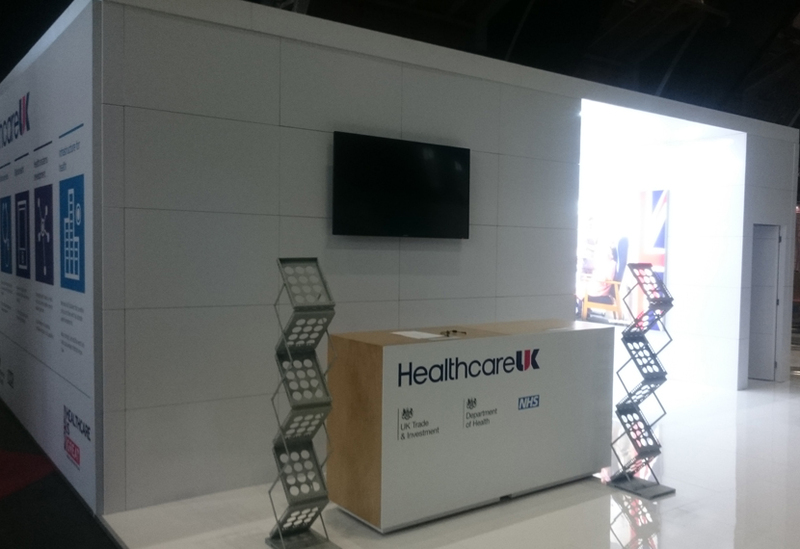 Not only has this system proved to be highly flexible, being easy to transport and accommodating different venues and events with ease, it is also proving to be very durable, requiring minimal maintenance.